Sonorys Technology presented the new generation of the BOCCACCIO MVNE/MVNO platform at the MWC 2019, which took place from Feb, 25th till 28th in London. It was a great opportunity talking about our remarkable news of our Boccaccio platform. We will be glad to see you all next year on the MWC 2020 in Barcelona with further outstanding news. Please have a look on our website emphasizing our tailored MVNO solution! The new release of the Boccaccio Online Charging System (OCS) has a built-in support to handle the new EU roaming regulations “Roam like home”. Meet the tailored supplier at the MVNO World Congress in Amsterdam. Sonorys Technology presents the new generation of Boccaccio MVNE/MVNO platform. Date: 21. May till 24. May 2019 | More Information. Please have a look on our website emphasizing our tailored MVNO solution. Sonorys is a leading expert and supplier of telecommunications solutions for mobile network operators. In April 2001, Sonorys Technology GmbH was founded based on a management buyout of the Alcatel-Lucent Voice Processing Center business division near Vienna, Austria. Today, Sonorys is located in Vienna (headquarters) and Munich. Since 2002, focused on MVNO needs and demands. We‘ve been investing in the continuous research and development of our Boccaccio product suite. In the meantime, Boccaccio fits perfectly into the prospering market of small and medium network operators as well as mobile virtual network operators and enablers. Boccaccio is a product suite for mobile network operator emphasizing pre- and postpay services, voice- and messaging function as well as business services. The out of the box Mobile Virtual Network Operator (MVNO) and Enabler (MVNE) solutions make Boccaccio unique. 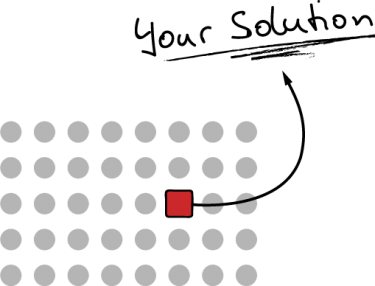 High flexibility, scalability and robustness as well as short time to market and unmatched price confirm the market proposition. All core network elements like HLR/HSS, G-MSC and GGSN/PGW could be provided in case of becoming a full MVNO including all appropriate OSS and BSS functions. Dialogic is a solution and communications technology solutions provider for real-time communications media, applications, and infrastructure to service providers, enterprises, and developers. 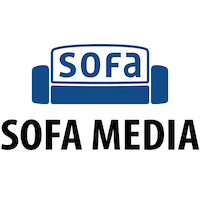 Sofa Media is an expert partner in providing Selfcare, Point of Sale, Webshop and mobile application design and implementation covering the complete delivery solution chain, front and backend solutions and marketing. Vedicis helps telcos and communication service providers to unleash the benefits of Internet traffic growth and provide them rich and powerful solutions to address their current challenges for access, control and monetization of data traffic.